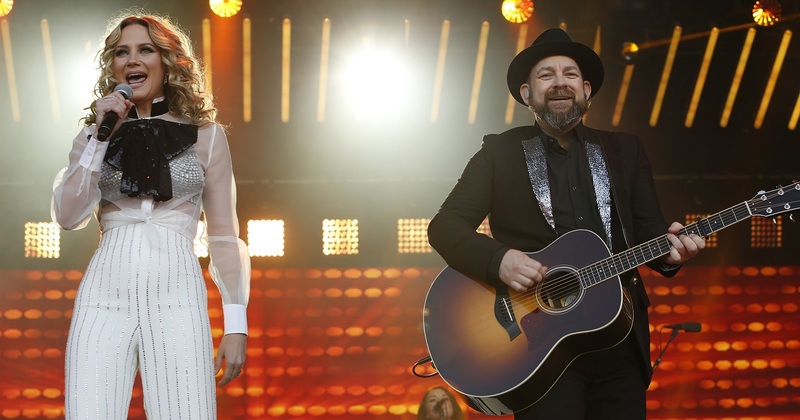 Sugarland has just released a new track, “Mother,” in honor of Mother’s Day. The song, written by duo members Jennifer Nettles and Kristian Bush, is from their upcoming Bigger album. However, the duo say the track from Bigger isn’t meant to simply be a tribute to the women who raised them – it’s also tribute to America. “We wanted to write a song that was a metaphor for the Statue of Liberty and how she’s a feminine icon, this goddess figure that represents our country,” said Nettles. Sugarland’s current single, “Babe,” written by Taylor Swift and Pat Monahan, is currently in the Top 10. “Mother” is available now when you pre-order Bigger and you can watch the lyric video in the link below.